Cast your eyes upon Medusa and turn to stone! 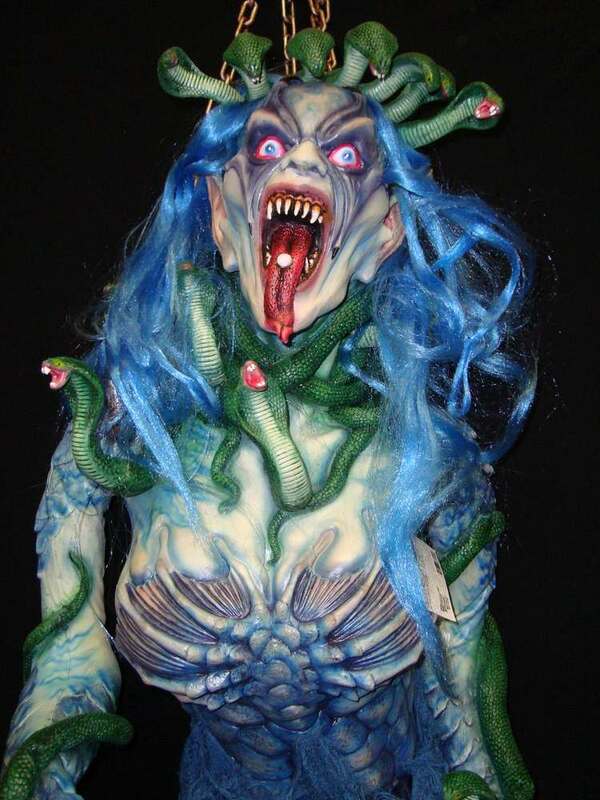 This prop is absolutely awesome... upper body and head and highly detailed latex showing the ugliness and power of Medusa and her head of snakes! 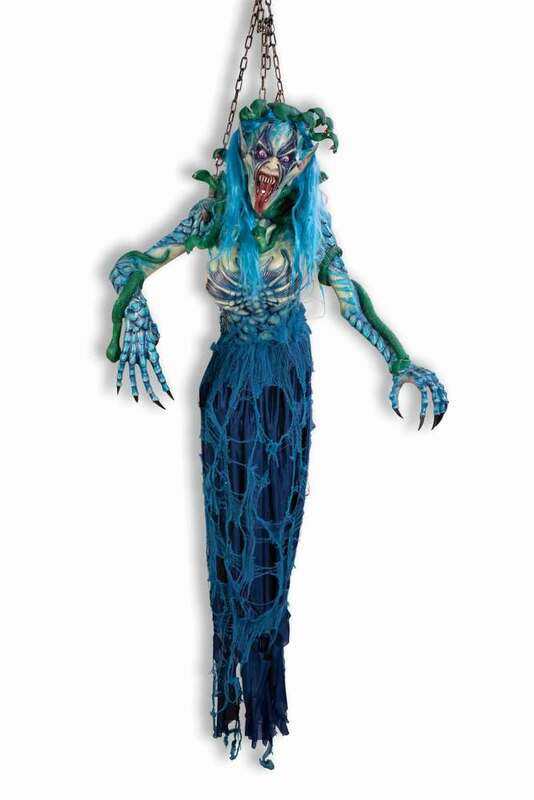 Snakes even wrap around her posable arms. Fabric drape makes up the lower half of the prop. Overall height is 6 feet. She is scarier than the photo shows. Will be a great addition to my display. Only downside is that the chains do not look sturdy enough to hang her, especially if she is outside in the wind. Otherwise she is perfect. the colors are a nice change to all the black I have hanging...it is a heavy prop and the chain is not really sturdy (there is a "handle" on the head that actually you should attach your wire to). Her face points out not down so if you are hanging above head level, it is not as effective.